FILE PICTURE: Hashim Amla of South Africa. Picture: Duif du Toit /Gallo Images. Hashim Amla will captain the Proteas Test team, Cricket SA announced at media conference in Sandton, Johannesburg, on Tuesday. 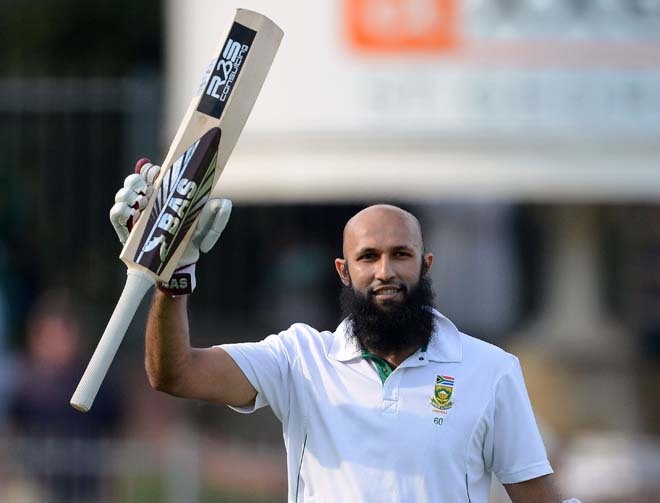 CSA chose Amla, 31, as the best candidate to succeed Graeme Smith who, retired from international cricket in March. Amla captained the South African under-19 World Cup team in New Zealand in 2002. He was also captain of the Dolphins early in his career, before stepping down from the role to concentrate on his batting. The top order batsman has played 76 Tests for his country and boasts a batting average of 51. His first assignment will be to lead South Africa against Sri Lanka in a two-Test, away series in July. Amla is the fifth person to be appointed captain of the Proteas after Kepler Wessels (1992), Hansie Cronje (1994), Shaun Pollock (2000) and Smith (2003). Mark Boucher, Jacques Kallis and Ashwell Prince have also done the job in a stand-in capacity.